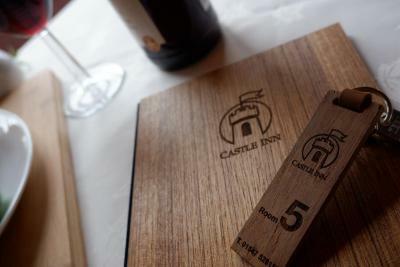 Lock in a great price for Castle Inn – rated 8.5 by recent guests! Stayed for work for a few days , great service , we left before breakfast but they make sure you get a packed lunch for the next day! Bar looked cosy but never got a chance to pop in due to work! Had a great Sunday night in a country pub. Staff and locals very friendly. 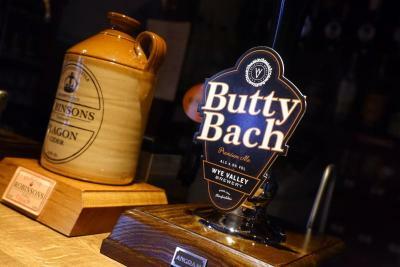 A good roast dinner and a few cold pints. Cook did a great breakfast. Meals were freshly prepared and tasted like it. Very nice. 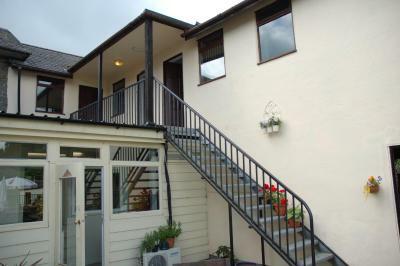 The staff were pleasant and helpful without being overbearing. The room was clean and a good size and the shower was hot and easy to use. It was a pleasant walk around the area. Enough to stretch our legs after a long day crafting. Would recommend it and use again if I am up here again. Thank you for the experience. It is always challenging when staying somewhere for the first time and we were not disappointed. Lovely, friendly staff. Excellent breakfast. Would definitely use again. Super clean. Good food on site. Helpful owner and staff. The breakfast was very good. A lovely stopover with friendly and attentive staff. Dinner was delicious. 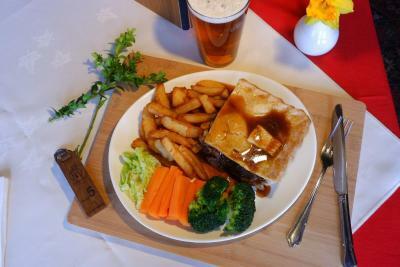 Good location, dinner menu excellent - Thai dishes and classic British pub food with justifiably renowned pies. Decent beer in the cosy bar. Interesting building. Very friendly owners and locals. 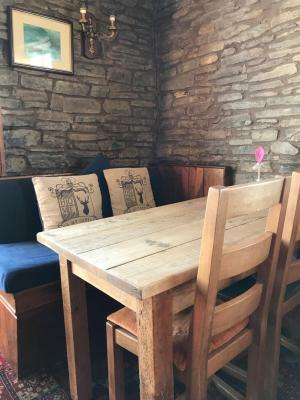 This small and friendly guest house is located in an imposing 16th century stone-built building, ideally located in the heart of the Teme Valley in Wales on the English border. Castle Inn is a charming guest house offering comfortable accommodations with in-room amenities including a TV and tea/coffee making facilities. The bar features a wood-burning stove and offers home-cooked food made from local ingredients. 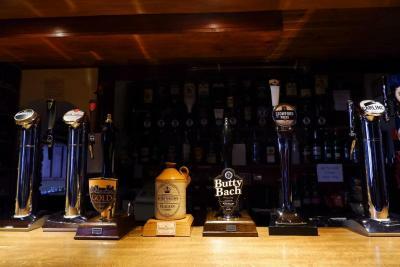 Local ales are served, as well as smooth bitter, draft stout, dry cider, lager and a good selection of wines. Well behaved dogs are allowed in some areas of the bar and the rooms. Nestled in the beautiful Teme Valley, the Castle Inn lies on the border of Wales and Shropshire, with a stunning stone viaduct at the heart of the village. It is only a short distance from Offa's Dyke and Glyndwr's Way. The landlord of the inn is a keen walker and will be happy to give advice on possible routes. 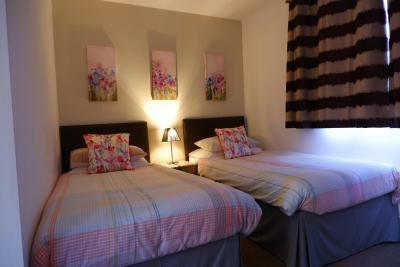 This room has 1 double bed and 1 single bad, suitable for a family group. 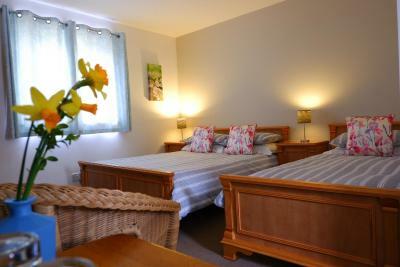 A flat-screen LCD TV with DVD player and a private bathroom are featured in this room. A flat-screen LCD TV with DVD player and a private bathroom are featured in this room. 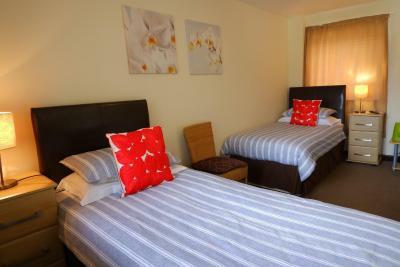 A king-size bed, flat-screen LCD TV with DVD player and a private bathroom are featured in this room. The Castle Inn is a traditional county pub. 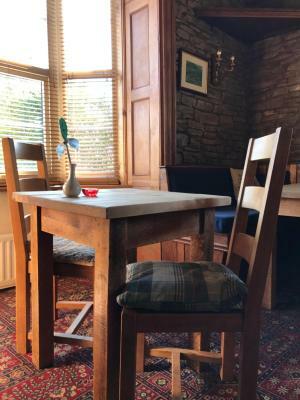 It is an imposing building from the outside, positioned in the middle of the village, however inside you can expect warm fires, welsh stone flooring, and a friendly welcome! Debit card Castle Inn accepts these cards and reserves the right to temporarily hold an amount prior to arrival. Friendly Staff very nice and very helpful. 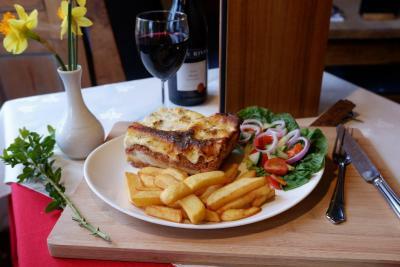 Brilliant pub food! Dog friendly. Good breakfast. Would stay again. Nothing really. Great value for money. Breakfast OK, but would be better if fresh coffee was made available at the buffet - when we asked for it two cafetieres were provided, swiftly and cheerfully, but we might not have asked and no-one likes instant coffee, really. Also would be nice to have teapots, or mugs for the (very good) selection of teas, so we didn't have to keep going to the buffet to refill with hot water. Host was kind and lovely and made our stay great! It all suited our needs very well so there isn't anything negative that I feel needs to be said. For us - beds were to soft and would of like single beds next to eachother. Staff, food and room excellent. Rooms where very basic and stairway was a bit slippery for my mum and her friend. Never been so welcomed by owners made our stay fantastic. Would and have recommended it to other friends and family. Will be staying again for a long weeekend. The shower wasn't great. Not very powerful and controlling the temperature was not easy. It was either not quite hot enough or much too hot.